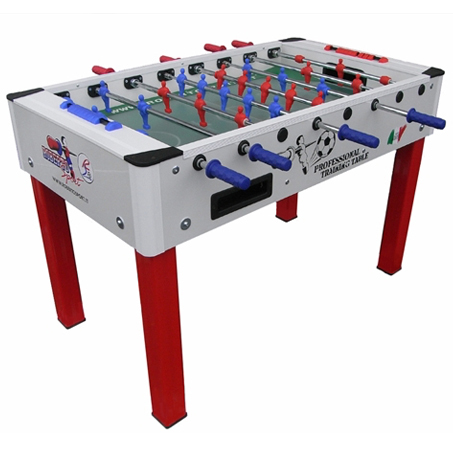 The Pro Training Soccer Table is produced in Italy by Roberto Sport, made with the finest materials. Its cabinet is made from poplar plywood and MDF with melamine coated laminate. 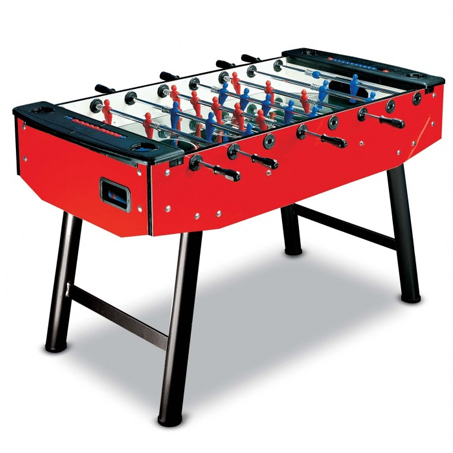 Mono block structure that guarantees absolute stability and reliability during the game. 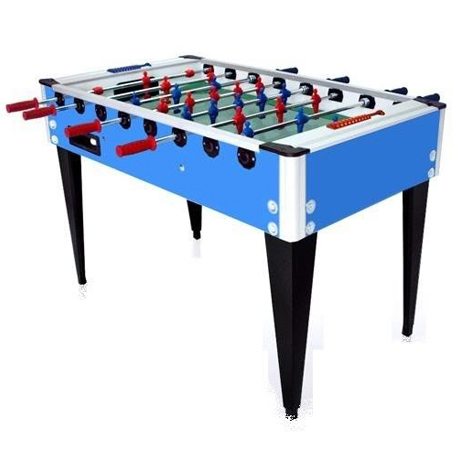 The weight of the table makes it shock resistant and very stable during the game, the stresses of the players are not transmitted to the base and prevents the movement during the game. 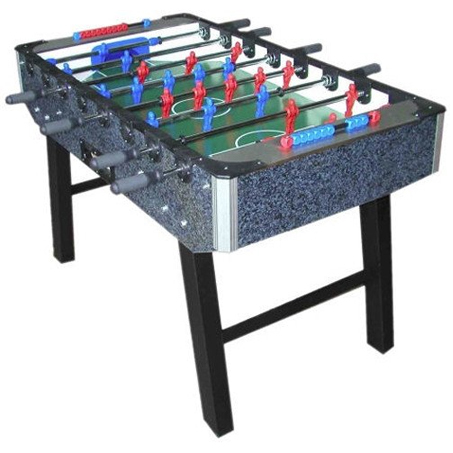 The metal legs are painted with epoxy powder with adjustable foot and fitted with a suction cup rubber for a total grip, crossbar-reinforced for maximum stability. Telescopic rods with a diameter of high strength steel, treated with double plating to prevent the formation of rust, improve the game's solidity, elasticity and strength.